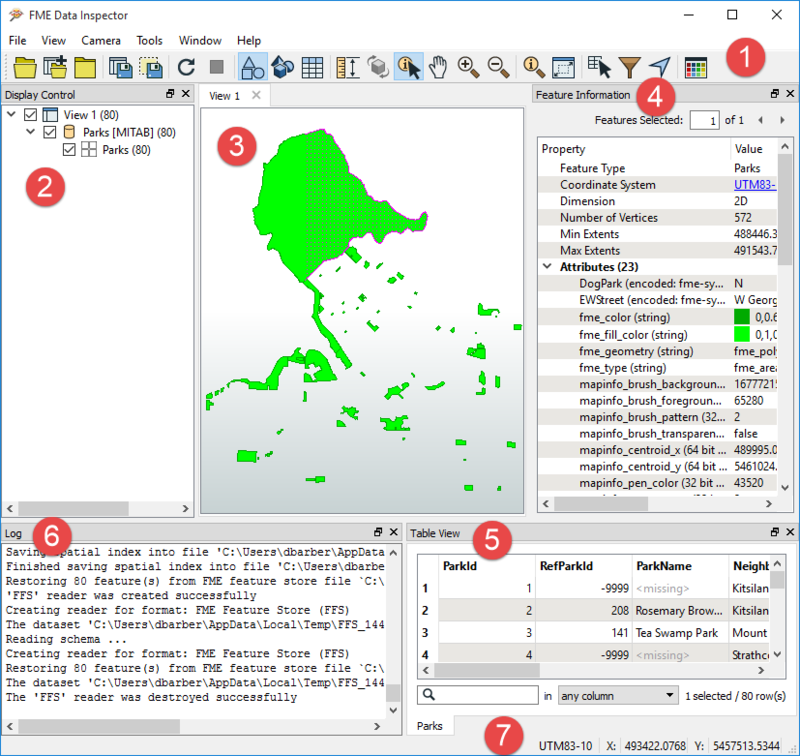 Every area of the FME Data Inspector interface has a name and serves a specific purpose. Tip: You can "undock" display panes by clicking on a boundary and dragging it to another location (or by clicking the button). You can then "redock" the pane in another location within the Data Inspector interface or leave it floating in a separate location.